There are billions of dollars being spend on ads on TV, Newspapers, Magazines, Websites, Billboards.. If you like to get your piece of this huge pie, I have got just what you’re looking for. In this post, I’ll show you a few ways you can make money advertising for different companies offline, plus a site that pays you to advertise on social media sites. Car wrapping is huge, and you can make decent money with it. Basically you sign up with a car wrapping company, and they will wrap your car with an ad. Depending on your car, your daily route, the distance you drive everyday, etc, you can earn anywhere from $100 to $1000 or more per month. Companies are getting more creative about their ads. They know people are bombarded with ads every single day which makes some people blind to them. So they are working to find ways to really attract your attention. There is the famous case of Karolyne Smith who got $10, 000 for tattooing GoldenPalace.com on her forehead. But if you don’t want to get a permanent tattoo of a company’s name, you can go to the temporary tattoo route. Thanks to a site called LeaseYourBody, you can now get paid to advertise a product, company, service, website, etc, by wearing a temporary tattoo in an interesting place (cheek, foreheads, nose…). Depending on the tattoo and you (seems like cute girls get paid more – surprise! ), you can earn from few hundred to few thousand dollars. When I was doing the research for this post, I checked out their site and there was a “For Rent” tattoo (advertising apartment availability in Manhattan) that was paying $5000. Unfortunately, I couldn’t do it, since I don’t live in or anywhere near Manhattan. Another creative way people are making money advertising for companies is wearing T-shirts with ads on them. Though the concept has been around for a long time (companies have been giving free T-shirts with their logo or company name for a long time now), you usually weren’t actually paid for wearing them. As his site became more popular, advertisers started paying him more and more for wearing their T-shirt. Well, you could either start your own company doing the same thing, or better yet, put a new twist into it and make it your own unique business. Or you could try to get hired by IWearYourShirt.com. Though they do not hire a lot, they do hire on occasion, whenever they get busy. You can subscribe to their newsletter so you can be notified when they are hiring. There is also another company that does something similar with kids in school. ShirtsinSchool.com pays students $10 a day to wear a company T-shirt around the campus and posting pictures of themselves wearing the T-shirt, on social networking sites. Wingsplay is a website/company that you can sign up with for free. Once you login, there is a list of videos (these are promotional videos for different products and services) that you can go through and choose anyone to promote. You can share these videos on the two biggest social networking sites, Twitter and Facebook. Now, whenever someones views that video, you earn a little money. Since the more views you get on the video the more money you make, the amount of money you can make depends on how popular you are (i.e. how many followers and friends you have). 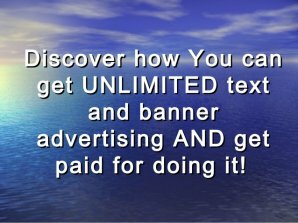 Get Paid To Advertise Your MLM Online! Sophie Elizabeth Smith (born 13 December 1986 in Canberra) is an Australian journalist and online producer, television reporter and host.